The month of February was full of news and there are different updates that affected the Azure management services and System Center. This article summarizes to have a comprehensive overview of the main news of the month, in order to stay up to date on these topics and have the necessary references to conduct further exploration. A list of virtual machines in an Azure region. All virtual machines in one or more resource groups in an Azure region. All virtual machines of a subscription, present in a given Azure region. Azure Automation allows you to update the Azure PowerShell modules imported into an automation account with the latest versions available in the PowerShell Gallery. This possibility is provided through the actionUpdate Azure Moduleson the page Modules of the Automation Account, and is implemented through a hidden runbook. In order to improve diagnostics and troubleshooting activity and provide the ability to customize the module, this has been made open source. Azure Automation introduces support for the PowerShell module Az, thanks to which you can use the updated Azure modules within runbooks, to manage the various Azure services. This month the new OMS Agent version for Linux systems solves a specific bug during installation. To obtain the updated OMS agent version you can access at the official GitHub page. It is possible to activate a Log Analytics workspace also in the Azure regions of West US 2, Australia East and Central Australia. In this way the data is kept and processed in this regions. Microsoft Azure Site Recovery Unified Setup (version 9.22.5109.1): used for replication scenarios from VMware to Azure. Microsoft Azure Site Recovery Provider (version 5.1.3900.0): used for replication scenarios from Hyper-V to Azure or to a secondary site. Microsoft Azure Recovery Services Agent (version 2.0.9155.0): used for replication scenarios from Hyper-V to Azure. Microsoft Azure Site Recovery Provider for System Center Virtual Machine Manager (3.3.x. x). Microsoft Azure Site Recovery Hyper-V Provider (4.6.x. x). Microsoft Azure Site Recovery Provider (5.1.3500.0) and later. The Update Rollup 33 for Microsoft Azure Site Recovery Unified Setup applies to all systems that have installed the version 9.17.4860.1 or later. For more information on the issues resolved, on improvements from this Update Rollup and to get the procedure for its installation is possible to consult thespecific KB 4489582. In Azure Site Recovery (ASR) is introduced, with the Update Rollup 33, also the support for the protection of Storage Space Direct cluster, used to realize Guest Cluster in Azure environment. In Azure Backup has been released the feature of Instant Restorefor the virtual machines in Azure, that allows using the stored snapshots for the VMs recovery. 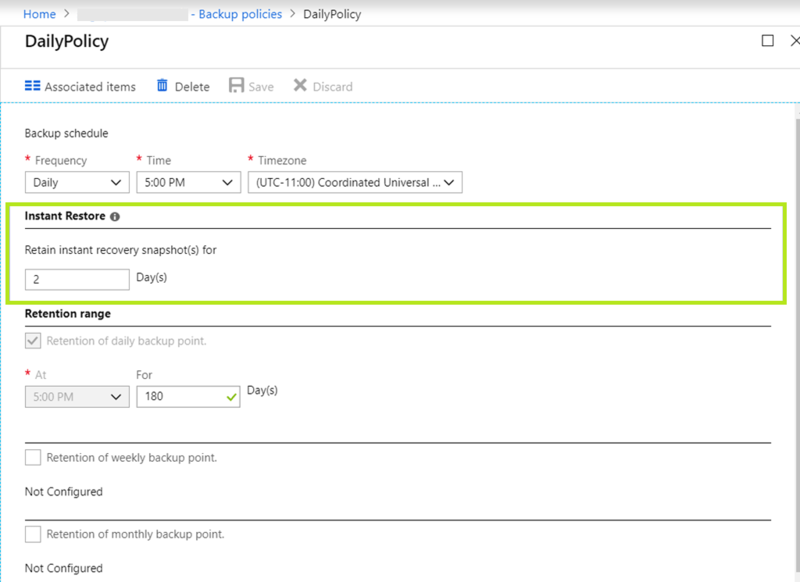 Also it is given the option to configure the time of retention for the snapshots in the backup policy (from one to five days, the default is two days). This increases control over the protection of the resources, adapting it to specific requirements and depending on the criticality of the same. Among the main new features of this release is included the ability to manage more effectively the restart notifications on systems managed by Configuration Manager. For full details of what's new in this release you can consult this document. Please note that the Technical Preview Branch releases help you to evaluate new features of SCCM and it is recommended to apply these updates only in test environments. This entry was posted in Azure Automation, Azure Backup, Azure Monitor, Azure Site Recovery, Cloud, Configuration Manager, Log Analytics, Microsoft Azure, Operations Manager, Security, System Center, What's New on February 28, 2019 by Francesco Molfese.